Trust the experts at Dreyer & Reinbold INFINITI of Greenwood for all your INFINITI service needs in South Greenwood, IN. Our highly qualified technicians are here to provide exceptional service in a timely manner. From INFINITI oil changes to INFINITI transmission replacements, we are dedicated to maintaining top tier customer service. Allow our staff to demonstrate our commitment to excellence today. No other service facility understands and services INFINITI vehicles better than Dreyer & Reinbold INFINITI of Greenwood. All repairs are done to INFINITI’s manufacturer specifications to ensure your INFINITI performs at its best when it leaves our dealership. We also keep a wide variety of OEM INFINITI parts on hand for quick repairs. If we don’t have your part in stock we can still order and install it in a timely fashion. 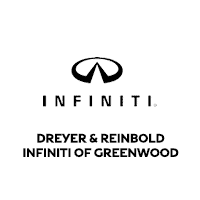 Stop by Dreyer & Reinbold INFINITI of Greenwood in South Greenwood, IN today for all of your INFINITI service needs. Be sure to check out our INFINITI service specials and parts specials for the best deals today.